This Must Be Heaven by Michael Durst - 10.000" x 7.500"
This Must Be Heaven wood print by Michael Durst. Bring your artwork to life with the texture and added depth of a wood print. Your image gets printed directly onto a sheet of 3/4" thick maple wood. There are D-clips on the back of the print for mounting it to your wall using mounting hooks and nails (included). Thanks, Randy, for such a stunning comment. I really appreciate it! 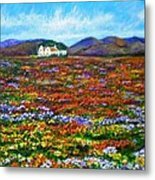 This image is absolutely heaven and African daisies are a favorite. You have certainly given them honor here in this masterful work Michael. Love this so much. F/L. Thank you so much, Vesna and Korrine, for your wonderful comments. Thanks so much, Marvin and Barbie, for your wonderful comments. I wish to thank everyone who voted for This Must Be Heaven to have it tie for FIRST PLACE in the Heaven And Hell contest. I really appreciate your support. 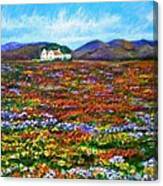 stunningly beautiful, lthe field of flowers is entrancing. I just love it. Thank you, Phyllis and Lenore! I appreciate your comments! This is so amazing! Absolutely beautiful! v/f/pin. Beautiful Michael! Love it! I hope all is well with you! I love revisiting this! Thanks so much, Belinda, for your wonderful comment! Wow What a heavenly piece! Beautiful work! 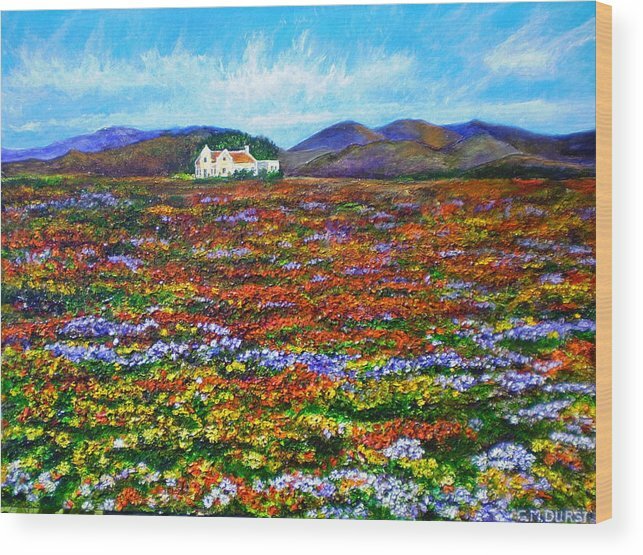 This colourful painting shows the spring flowers on the West Coast of Cape Town, South Africa. 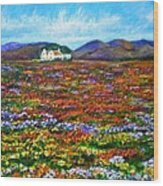 The African daises provide a kaleidoscope of orange, yellow, white and purple as they cover the desert sides and climb up the side of the mountains as far as the eye can see. My first experience with this incredible phenomena, had me gasp, "This must be Heaven." 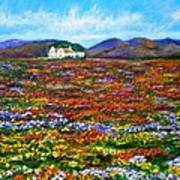 This wonderful impressionistic painting is alive with colour and exciting to view.